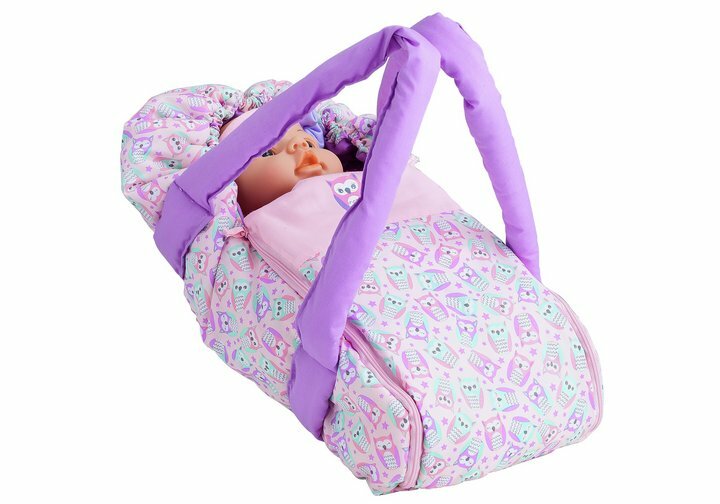 Your little ones will love carrying her own doll around in the high quality Chad Valley Babies to Love Carrycot & Doll Set. With two (2) outfits to dress in, your little one can choose what looks best on before giving the bottle at feeding time. Maybe you want to try out the food tray using the fork and spoon? If so be sure to use the bib to avoid spills on the outfit! Chad Valley Babies to Love Carrycot & Doll Set comes with a doll, carry bag, milk bottle, bib, extra outfit, spoon, fork, food tray and bottle. Size H36.8, W17.8, D19.1cm. Get money off with April 2019 free Argos voucher codes, see if there's a promo code for the Chad Valley Babies to Love Carrycot & Doll Set product. Argos may be out of stock of this product. To enhance your shopping experience you may also be redirected to a search results page when you click an outbound link.